In the spring of 1977, I found a job as a busboy at La Piñata restaurant on Union Street. The food was good, but they didn’t serve hard liquor, so it was rarely packed. The place was owned by a gay couple, Harry Linder and Armando Rodriguez. Armando’s mother, Antonia, did the cooking. He used to say it was the kind of food his family ate on special occasions, not everyday food. Having worked there, I always want shredded beef in my tacos and thick chips made from real tortillas. That’s the real stuff. Armando went by the stage name Armando Jones ever since he had been a teenage ice skater of some renown. 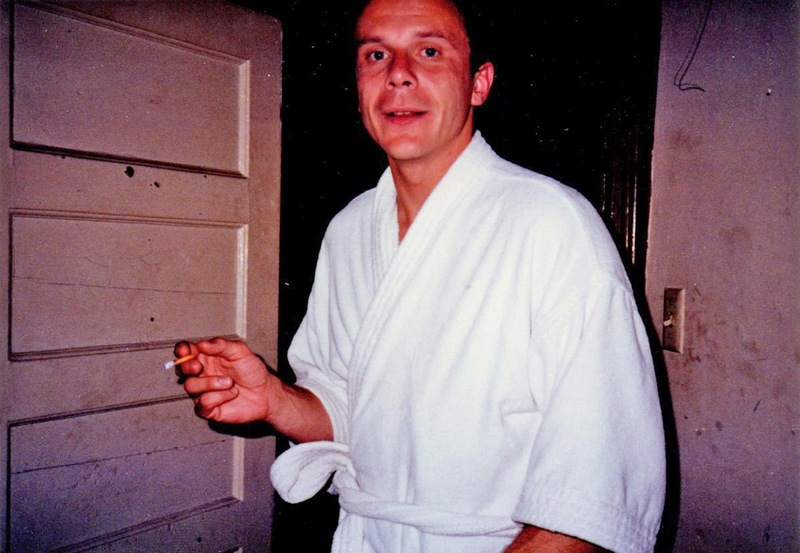 Harry had picked Armando up when he lived in a Berkeley boardinghouse, and they were lovers until Harry passed away in 2002. Sometime in the 1950s, they opened their first restaurant in San Francisco at 1701 Polk Street. Later on, they opened the place at 1851 Union Street, perfectly timed to ride that street’s popularity in the 1960s and 1970s. With their wealth, they moved from a suburban house in Terra Linda to a large house on three hillside acres in Kent Woodlands in Marin County. Their housekeeper came over and said, “Well, you boys didn’t tell me you all were moving into a motel.” That home was a shrine to 1960s high gay camp, replete with oil paintings of long-dead nonrelatives, low tufted couches, golden sheaf cocktail tables, a swimming pool, and at least one bedroom devoted to storing the stuff they bought and didn’t know what to do with. And there were cocktails, lots of cocktails. 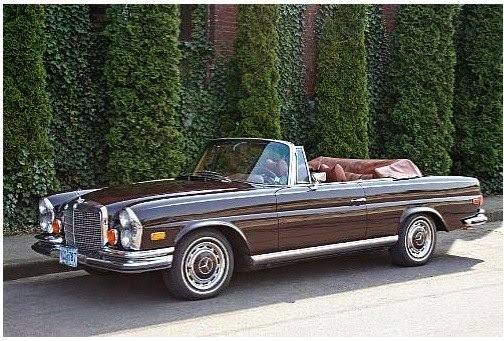 Also a vintage brown Mercedes 280SE convertible that they drove on special occasions. They had a smaller Mercedes for daily commuting. Harry would drive Armando to the front gate of the restaurant and then wait on the busy street until a spot opened up. He had the best parking karma in the world. Armando had perfect white teeth and perpetually tanned skin, and he loved wearing bling, real bling, diamond and gold bling. With a big silk scarf over his balding head and an unbuttoned shirt, he was a gay character from central casting, but still loveable. Harry, who always stayed blonde, managed the money (and everything else that needed managing). Armando’s dream was always to be a star, first an ice-skating star and then a saloon-singing star. Many nights we would sit around, get drunk, listen to records, and then listen to him sing. I think he drank to sing. All these years later, I think what Michael Ray loved about me was my relative innocence and intense curiosity. He didn’t want me to lose it. We drank and smoked, and he introduced me to Billie Holiday records and jazz. He helped me hear the sadness and the optimism. I was building my own gay circle. Probably not the soberest or sanest one, but my own. After the restaurant closed for the night, Harry and Armando went to see saloon singers and even caught a few in their net. Most notably the young local Wesla Whitfield and the legendary New Yorker Sylvia Syms. I no longer remember who introduced Sylvia to the “boys,” but she always spent time with Harry and Armando whenever she came to town. She didn’t drink, but she did like to smoke pot. And argue. She loved her Bob Mackie gowns, Louis Vuitton dog carrier, and first-class plane tickets, but most of all she loved to argue for the underdog and her view of the world. Michael Ray, Harry, Armando, and I would climb into the Mercedes and drive off to the Mocambo, the club at the edge of the Tenderloin on Polk Street that glowed for a few years in the late 1970s. On that little stage, we heard Eartha Kitt, Carmen McRae, Julie Wilson, Sally Kellerman (yes, Sally Kellerman! ), and even Mabel Mercer in some of her last performances. But it was Sylvia Syms’s sparsely attended concerts that we attended the most. Nearly every night during her runs, we would catch her last set. Even then, her emphysema meant you could hear her struggling for breath. But as she said, she wasn’t so much a singer as an interpreter of songs. I learned what that meant from listening to her and the other ladies. Her last performance in San Francisco was at the Fairmont’s Venetian Room in 1983. The Fairmont’s publicity machine placed articles in the local press, but couldn’t fill the venue. In her suite, she tried to put on a brave face despite the empty room, but she never performed here again. 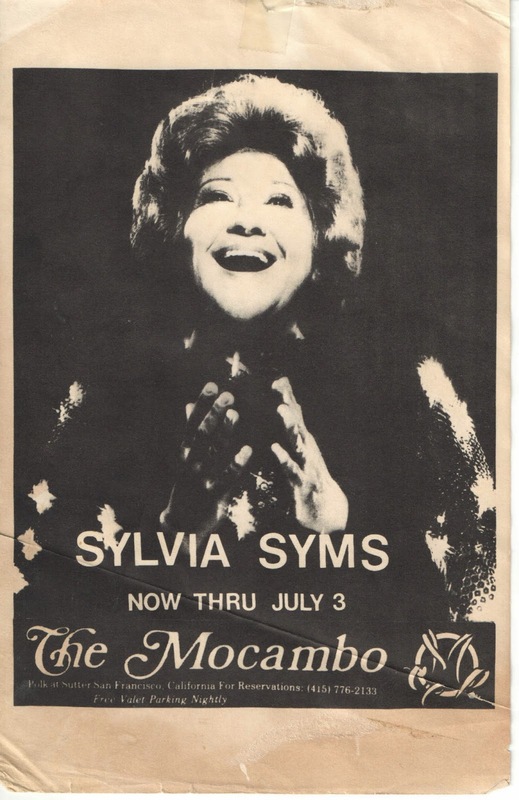 Sylvia Syms was a New York phenomenon. Once when she came out west, we went to see Annie, since her friend Harve Presnell was playing Daddy Warbucks and had given her some front-row balcony tickets. When we sat down, the man dressed in full leather next to me asked, “Is that Sylvia Syms?” He said that in New York, they called her “Moonbeam Moscowitz,” which was the name of Whitney Balliett’s 1974 profile of her in the New Yorker. (He wrote about her again in October 1978 and when she died.) The profile is a great piece in large part because most of it is just Sylvia talking. And she loved to talk and talk. “Sylvia Blabbermouth,” she told one writer. She spun great tales. She often spoke about Mr. Sinatra. He was very kind to her, helping her when she ran out of money or got in a jam. She would tell the story about how one night, seeing Rex Reed in the audience, he told Sylvia, “I don’t like some of your friends.” Not one to back down, she nodded towards his thuggish companions and retorted, “And I don’t like some of yours!” She could get away with it. She was friends with all kinds of stars. I remember stories about Tony Bennett, William Shatner, Totie Fields, and Steve Lawrence and Eydie Gorme, and about how she lived in Harry Belafonte’s old apartment on East 63rd Street. She was everybody’s favorite nearly famous saloon singer. In 1981, my friend Michael Ray and I ventured to New York to hear Wesla Whitfield make her NY premiere at Michael’s Pub. Sylvia had helped pave the way for Wesla with some of her contacts. It was a disaster because Wesla lost her voice. I don’t think Sylvia ever forgave her. Over the years, Sylvia and I exchanged letters, and she was always encouraging me to follow my passion—that was the path. Given how hard her path was, I listened. 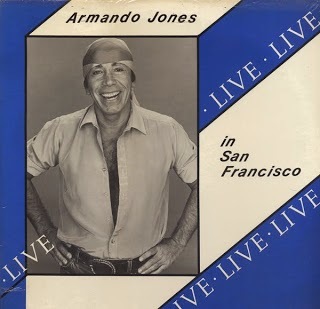 Sometime in the 1980s, Harry and Armando sold their Union Street property for a lot of money and reopened on Larkin Street in the Civic Center, this time with a stage for Armando. He still wanted to be a star more than a restaurateur. Like Sylvia, he sang to empty houses. But the Civic Center location didn’t catch on like Union Street. Maybe it was their timing, but the restaurant and the dream of being a nightclub act faded. Michael had fallen out with Harry and Armando and had several screaming fights with Sylvia. She had fallen in love with him (he wasn’t the first gay man to receive her affections). And there was Michael’s addiction to speed, which I didn’t recognize. 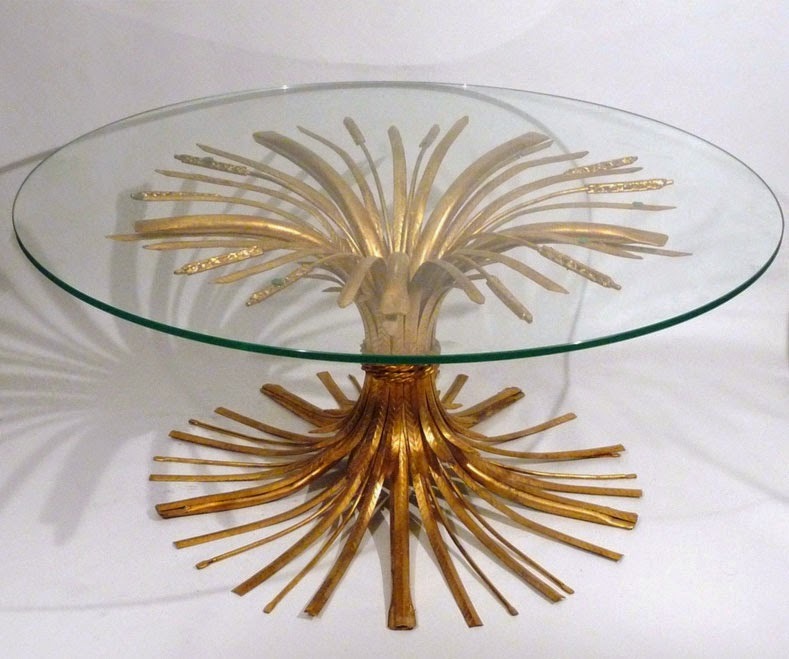 I moved to Los Angeles for a few years in the late 1980s. Michael Ray and I had our own falling out after I accused him of robbing me for drugs. He came to LA to reconcile and tell me he was getting better. He had a few good years with another La Piñata alum, Jon Bohm. 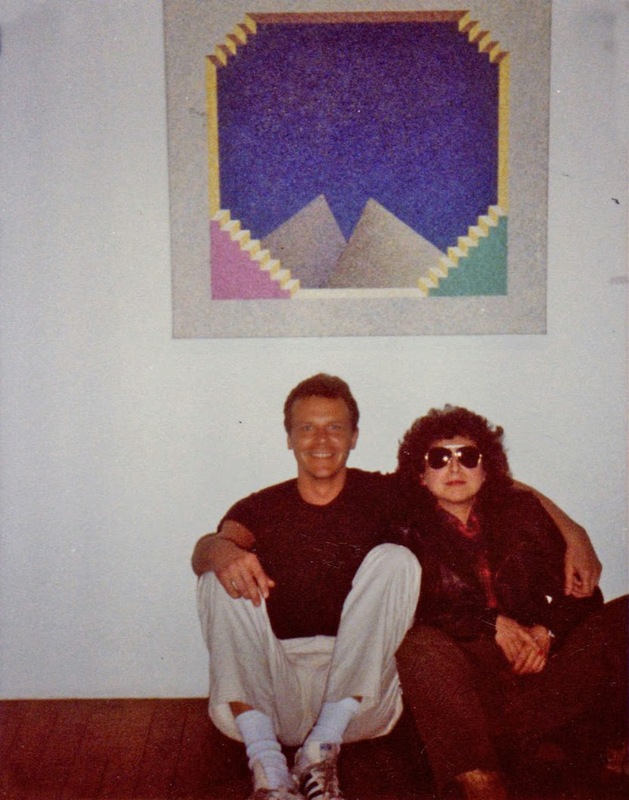 On Olvera Street, he bought me a touristy ceramic chapel as a symbol of his enduring love. I still have it. I saw him a few times after I moved back to the Bay Area in 1990, but his health failed. He had worked at Zuni for several years, and the restaurant delivered dinner to his home every night. He died on March 11, 1992, at the age of 44. I don’t know if he and Sylvia ever repaired their rift. A few weeks later, on May 3, I clipped a picture of Sylvia from the New York Times, wishing I could show Michael that the old broad was still going. The caption under Sylvia’s picture read, in part, “Ms. Syms can also be heard at the Algonquin Hotel through May 30.” She lived only seven more days. She didn’t finish the gig, her first in the Oak Room. She told me once that she wanted to go out singing. And she did. She collapsed after her set and died. Who doesn’t want to go out singing? You are quite a spinner of tales yourself Mr. Caldwell. And live to tell. Poignant trip down memory lane. You rode around in a brown vintage Mercedes with cabaret singers? Now I'm just jealous. Thanks for the piece, loved reading it. Armando is still the "star" wonderful man you talk about. I am glad to see that what he and Harry planted still grows! - Sylvia was probably introduced to them by Virgil Gonsalves, local baritone sax guy (who, by the way, also helped "discover" Johnny Mathis by introducing him to the Blackhawk jazz club owners). - Sylvia bought me my first suit, when I was 7. - I remember where I was & what I was doing when I heard Marilyn died - also at age 7, in the Polk St. location that night; Harry told us. - no Coke, only Pepsi. - my mother helped Armando settle on "Jones" for his stage name, one night at the Union location, just because it was, well, Jones, and better than using Smith. - "Uncle" Harry tried to teach me to swim, up in Kent Woodlands, when I needed it for high school graduation (but I just wasn't any good at it). - I remember the Terra Linda place, and also when they got both Mercedes (the everyday one was blue, no? and yeah, somehow he managed to park it in front at Union). - that was one huge dog they had. - most of these paragraphs here bring a nod of recognition, thanks. Thank you for writing. To answer your question the Mercedes convertible was chocolate brown. The smaller Mercedes was, if I remember correctly, light yellow, almost beige.